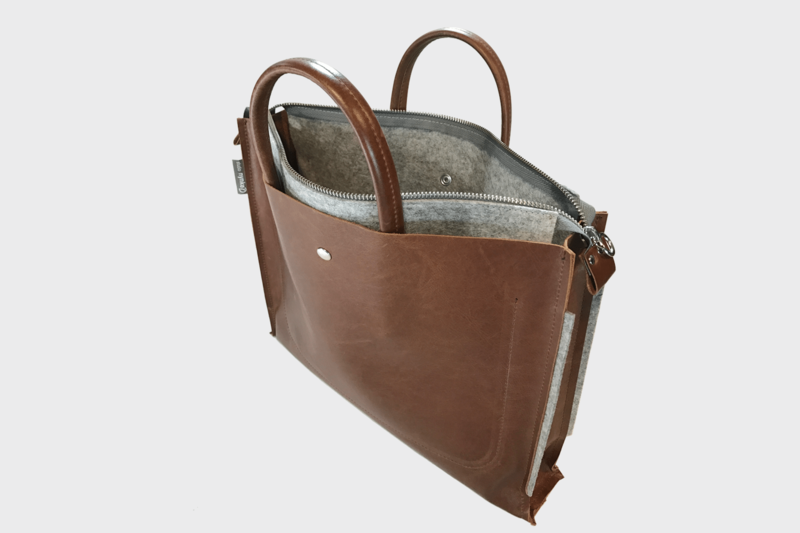 This hand-made leather bag is ideal to take along to work. Few things in it and ready. What does a man want more? 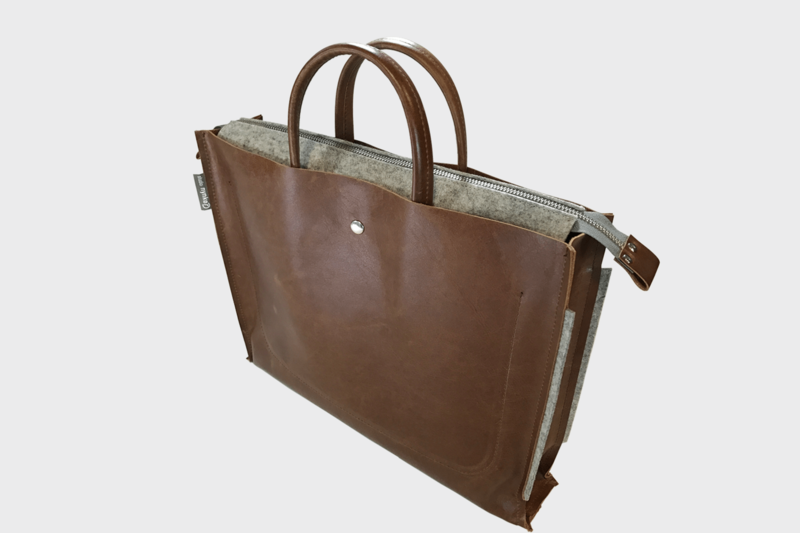 The outside is made of beautifully supple yet sturdy leather with a beautiful aged structure. It is lined with 2 mm wool felt. The bag has various small compartments to stow away small items (cell phone, sunglasses). 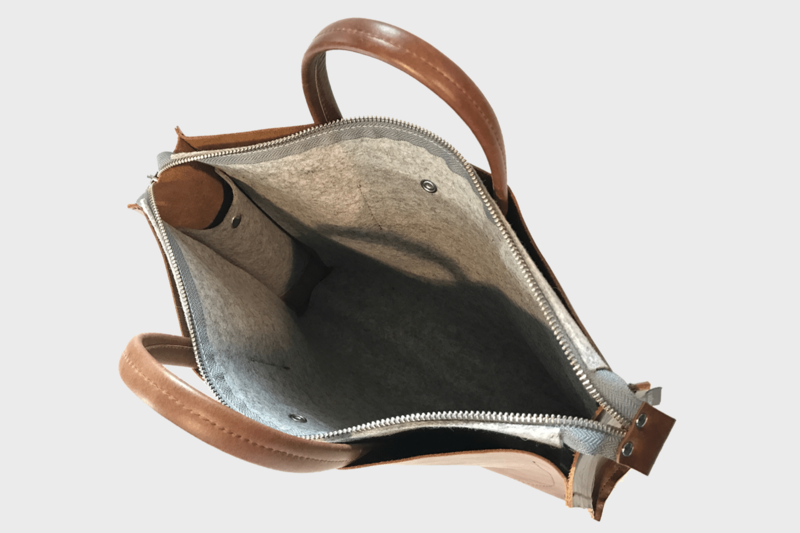 Have a look at the special detail: the wool felt lining is visible as a detail through the stitching on the outside of the face side of the bag. Straps are attached on the inside to the felt liner so no stitching is visible there on the outside. In a word: a unique, simple and natural (typical Nynke) design.